Dodge Service and Repair in Holly, MI | Armstead Automotive - Armstead Automotive Repair and Service Inc. 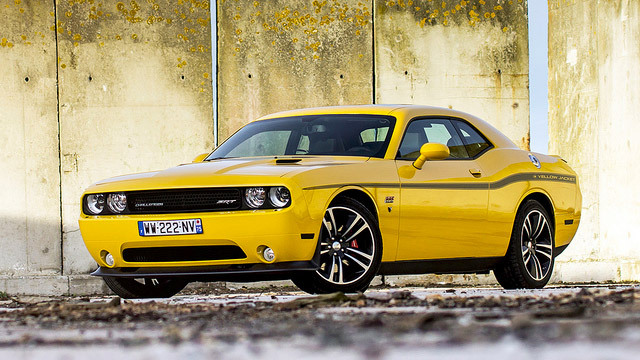 Whether you drive one of Dodge’s performance cars or a more modest model, the ASE-Certified auto mechanics at Armstead Automotive Repair in Holly will always provide you with the highest level of auto repair and customer service possible. We are a family-owned-and-operated auto repair facility, and it indeed shows in how we do business and how we care for your Dodge. We go out of our way to take great care of every single customer who walks through our doors and every Dodge that drives onto our lot. From complimentary shuttle service to digital inspection reports, it’s all to make your experience with Armstead Automotive Repair the best experience possible. We understand that hanging out at the auto repair shop isn’t how you want to spend your time, no matter how much you love your Dodge. “Jon, Jared and crew are very friendly and customer service oriented. Nobody loves vehicle maintenance, but these guys make it tolerable.” -- Karen T.
When you need an auto repair shop you can count on in the Holly area, Armstead Automotive Repair is your go-to solid! We have an excellent reputation for being able to fix problems that other shops find too challenging, and we back our work with a 3-year/36,000-mile in-house warranty and a 2-year/24,000-mile nationwide to give you that extra peace of mind. We pride ourselves on standing behind our work and for being there for our wonderful customers. Schedule an appointment today for Dodge service and repair. We are conveniently located at 15310 Fish Lake Road, Holly, MI 48442. Our hours are 8:00 AM - 5:30 PM, Monday - Friday.